A rehashing and re-working of a timeless Disney classic that delivers fantastic special effects, great acting but somehow misses the mark. Perhaps the cynic in me reared his ugly head. This doesn’t normally happen with a Disney movie. Jolie was perfectly cast as Maleficent. Her presence, her voice, the looks – brilliant. With those facial Lady Gaga implants, she looked creepily thin. The film zipped along quite well. I certainly didn’t feel like I had sat there for 90 minutes. The opening was sickly sweet. A little too corny and cheesy as a young fairy Maleficent soars around the woodlands. Beautifully animated and shot well. The 3D being used to its full capabilities. You felt like you were flying around the screen. The water flicking out. The creatures jumping out of the screen. The very potential of 3D finally being used. 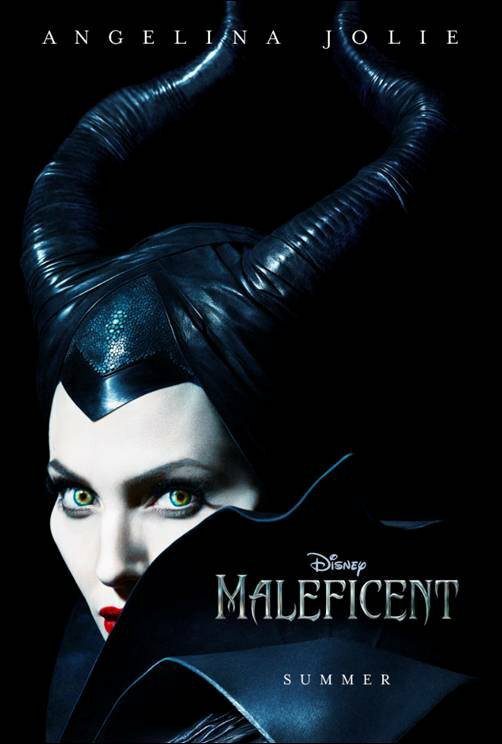 If you were expecting a full in-depth look into the origins of Maleficent, you may be disappointed. It is soon established by the narrator that she was a fairy. An abnormally big one. A human sized one, in fact. All the other fairies are pixie sized or have to use an enchantment but not Maleficent. But then again, it’s magic. My main niggle was that apart from some nicely acted moments and some cracking CGI set pieces, there isn’t really a lot going on which gave my cynical mind time to wander and pick at this loosely joined plot. I mean, come on, it’s a fairy tale. They are all ridiculous within their right by those grounds. BUT if you ever wondered what a villain was doing while the hero or, in this case, heroine lived their lives. I can tell you. Bugger all, really. Jolie’s Maleficent literally sits on a tree and watches the young Aurora grow up. I mean the idea of her waiting to strike sounds menacing but it’s all done so light heartedly. I mean, duh, it’s Disney but the trailers (that horrible phrase) made the movie appear to be so much darker. I mean all Jolie does is sit and fester or throw the odd prank on the pixies to keep her entertained. But this went on for 16 years? I mean, I understand that 16 was the age when Maleficent was scorned by her lover. And also if the curse said 16; why did Aurora’s father send her away for all those years? Maleficent would have had plenty of time to find her. Especially when the pixies were right near her terrain. Speaking of which the overly used CGI pixies (Imelda Staunton – Harry Potter, Juno Temple – The Dark Knight Rises and Lesley Manville – Vera Drake) were incredibly irritating and annoying. Even their animated predecessors weren’t that bad. It was interesting to see Sam Riley in a normal role. Well, I say, normal. If you can call his anamorphic crow hybrid protagonist Diaval normal. I mean for those who are still questioning why there is a spin off prequel to Sleeping Beauty, imagine what Disney could do with Maleficent and yeah you got it on the head. It is that predictable BUT also very watchable and doesn’t bore. It was an interesting concept to provide a different dimension to a character that was just pure evil and had no redeemable features. However, the only problem this time around, Jolie’s Maleficent is not really that evil at all and you soon feel sorry for her. BUT at the same time, it’s the same old scorned love story. Some moments surprised and near the end, I was cockily sitting there saying this is going to happen but was proved wrong. But it all ended the same way, near enough. Sharlto Copley (District 9) was more menacing when given the screen time as the demented King Stefan. However, when given the screen time, all he was doing was sitting, grimacing and barking orders. Elle Fanning was delightful as the dreadfully naïve Aurora. She worked well with Jolie. It was quite funny to see Jolie acting with her own daughter who played a younger Aurora for a brief scene. Jolie glaring and hissing, “I don’t like children. Go away.” Corny but nicely done. It zips along, it’s good to look at. The cast are fantastic. The special effects are brilliant. But something about it just doesn’t sparkle, merely flickers for me.